Ok, so Citrus Oils is more than just one oil- but for today let’s go with a category of oils! And those would be Citrus Oils! Some of my favorite citrus oils are pictured below, but there are so many other ones! One of my favorite ways to use Citrus Oils is to add a couple of drops into my water. Before ingesting oils, make sure 1) they are high quality oils (I only suggest Young Living Essential Oils), 2) You are using a glass cup or water bottle, citrus oils can eat through plastic and 3) Look at the labels on your Young Living Oils. If they can be consumed they will be labeled as dietary. – Here are some great recipes for “Spa Water” In the place of the fruit you can add in your oil! So for Grapefruit Basil Water add the basil and 1-2 drops of grapefruit to your glass! I love using Lemon oil in place of lemon juice in recipes. Since the lemon oil very concentrated, i only need 1 or 2 drops of lemon oil! + Is an important ingredient in Young Livings Slique Essence and Power Meal. 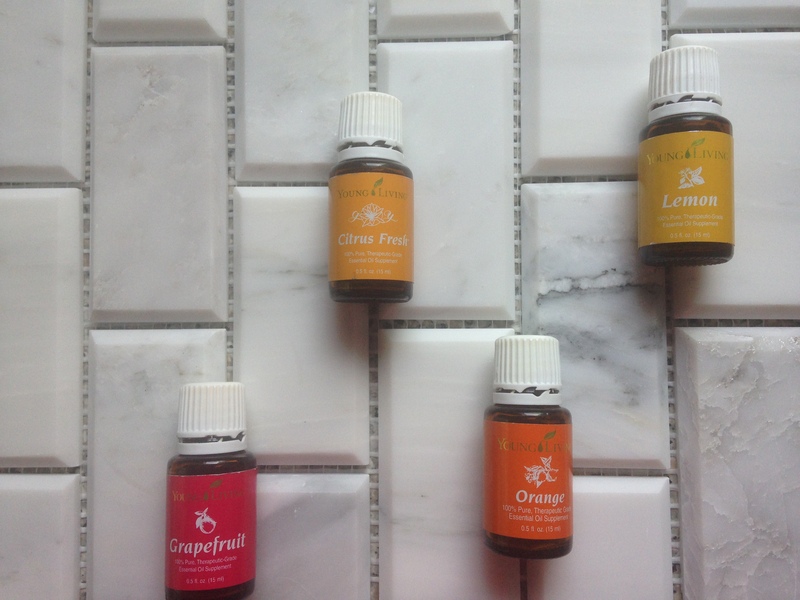 Time for my Day three in my top five essential oils post. If you missed it Lavender was Day One and Peppermint was Day two! I think part of my love for PanAway is the smell. When I was little , I use to stay with my Granny on the weekends. And the smell of PanAqay reminds me of the smell of Bengay that my Granny would rub on her legs each night before going to bed. Every time I open the bottle it takes me back to those memories! PanAway has a stimulating aroma and is ideal to apply topically after exercise, and supports the appearance of healthy skin coloration. (1) This is one of Young Livings best selling blends formulated by Young Living founder D. Gary Young. + Rub PanAway essential oil blend across your lower back if you feel discomfort from sitting in front of a computer. 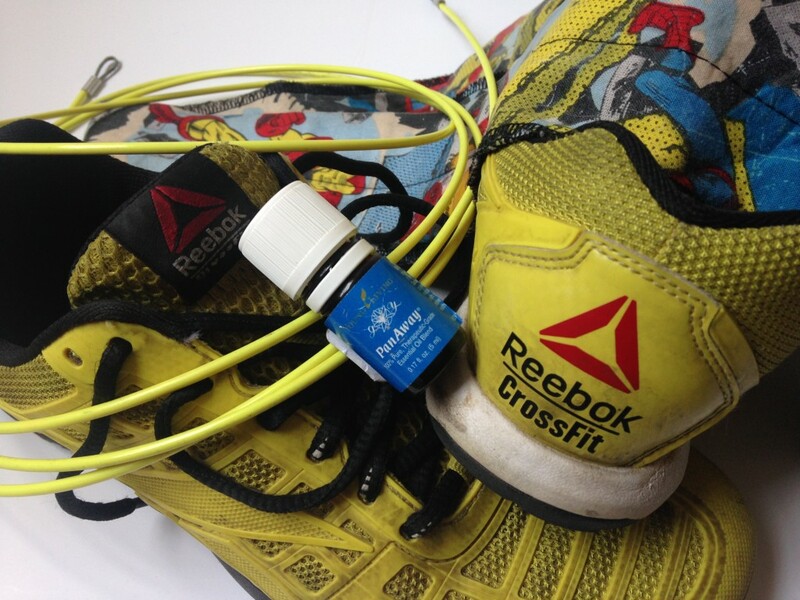 + Rub PanAway essential oil blend on muscles to help alleviate stressed muscles or other physical discomforts. + Rub PanyAway essential oil blend on your temples to ease minor head tensions. 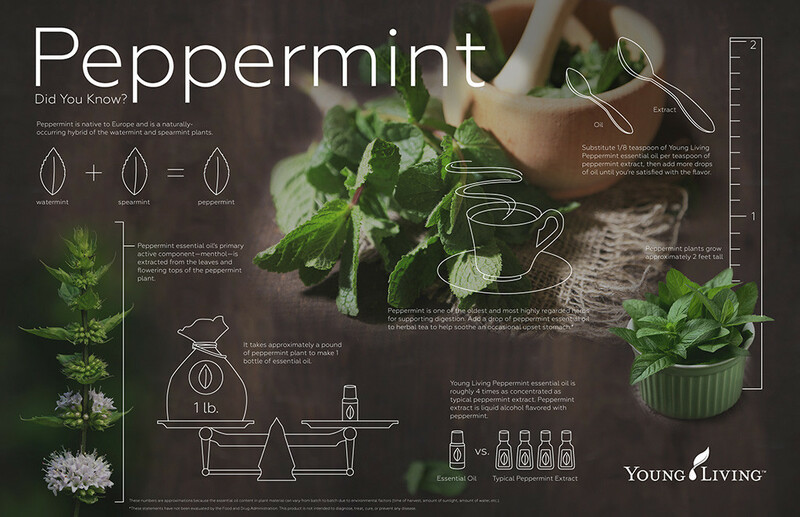 Day Two in my top Five Favorite Essential Oils is Peppermint!! Oh.. The Smell of Peppermint is Amazing! Sometimes I just hold it up and smell it straight from the bottle. To say I love the smell of peppermint would be an understatement. I always tell people that my Young Living group is like the sorority I was never in! In addition to being a part of the Golden Drop Society, our team is also a member of the Baby Steps to Essential Oils. It’s kind of like their are our Grand Grand Big! In our email this week, Baby Steps talked about picking your top five favorite oils and share about them. This got me thinking- What Are My Top 5 Favorite Oils? What oils do we use the most in our home? You know, it’s really hard to narrow it down to just 5! But I tried! So here you go. Here is Day ONE of my Top Five Favorite Oils! Lavender is one of the most versatile oils! It’s called the Swiss Army Knife of oils! Have you every used a Swiss army knife? Personally I haven’t, but when I googled it this is what I got- ” The most versatile multi tool on the market”. So when you hear people compare an oil to that, you know it must be pretty legit! Lavender is a popular essential oil long loved for its calming, soothing fragrance! When diffused, Lavender adds a clean, fresh scent to any room and is a relaxing addition to baths and body care products. 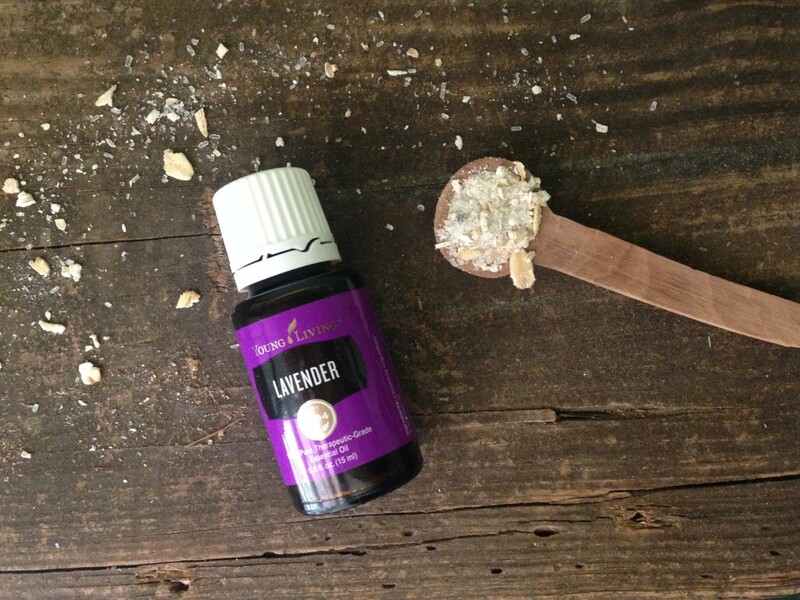 Lavender has a sweet, floral aroma that is soothing and refreshing. It’s aroma is great for relaxing and winding down before bedtime(1)! I have very sensitive skin and really don’t like using anything with a Lavender or a floral smell to it, so I was very nervous about using Lavender Essential Oil! But this quickly became of on my favorites! According to the bottle, Lavender is gentle enough to use undilluted (which just means using it straight from the bottle, without using a carrier oil like Olive Oil or Coconut Oil). Everyone’s body is different, I’ve found that I still need to dilute Lavender, especially if I am using it on my face. Also diluting the oil helps the bottle last longer because you aren’t using as much to cover an area of the body! I’m all about saving money!!! 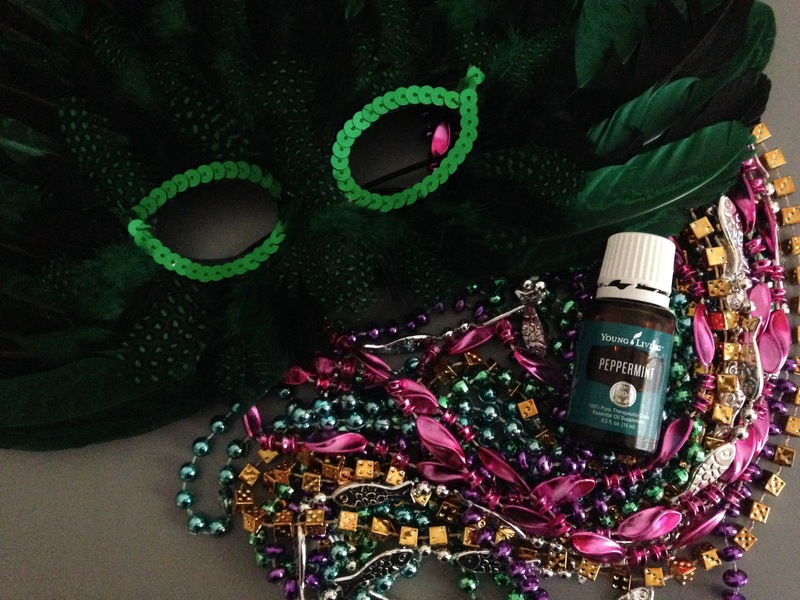 + Put a couple drops on my hands and rub on your pillow to help unwind after a long day! Fun Fact about Lavender: It takes 27 square feet of Lavender to make ONE 15ml bottle!